Step into the shoes of Toby, a lone wanderer searching for the strange figure that kidnapped residents within his village. Jump, push, run, and solve puzzles as you chase down mysterious shadow figures as you search for answers as to where everyone has gone. Created in a similar vein as the indie hits Inside/Limbo, Toby: The Secret Mine takes players through beautiful worlds entirely made up of shadows and stunning backdrops. The black and white look adds to the story, as it feels as if danger is around every corner. Each level adds a small spice of color as to distinguish levels, aiding in the effort of creating a beautiful art-style. Previous games in this genre succeeded at capturing audiences, but does Toby: The Secret Mine hold a candle to Inside or Limbo? Let’s dig into what the game has to offer. Popular games within the platforming genre tend to move at a quicker pace than most games, but controlling Toby feels slow straight from the get-go. This helps players grasp a better look at the wonderful design of the game, but visuals aren’t all that should be noticed about a game. The character feels as if he is moving around with fifty-pound weights in his pockets, and this really took away from a game that had a lot of promise. Roughly speaking the game is only a few hours long and be finished in around five to seven hours, but the speed of the character made me want to put it down very quickly. It’s quite a shame as the graphical style is very well done. Although the game brings its dark and eerie tone front and center, the story doesn’t play out as well as it could. Gameplay aside, the presentation is top notch. The artistic design is very well put together, and it was one of the main driving forces that brought me back time after time. Each world brings in a new shade of color, adding to the overall aesthetic of each individual level. Back to gameplay, each level follows the similar structure of walking through areas, solving puzzles (which can range from pushing levers to moving objects), and following shadowy figures. Enemies are located throughout as well, as they lead a hand in telling the story. Throughout the game’s 21 levels, puzzles begin to get very repetitive as the same formula is used time and time again. Each level has one of Toby’s neighbors locked up in a cage, which serves as the game’s main collectible. Although being a slower game, there are obstacles that must be avoided as to not die. Spikes, enemies, pits, endless water holes and more can cause you to rack up deaths. Thankfully Toby: The Secret Mine has an automatic save system in place, which returns the players back to where they previously were. Levels can be replayed as well, but there isn’t any real reason to return besides rescuing a fellow villager. The main menu displays your death count and the number of villagers saved, as well as giving players the option of restarting the game. This version also takes advantage of rumble, which is an appreciated addition. The Nintendo Switch version runs very solidly and what you see is what you get. The experience of the game is not a good one, unfortunately. Nothing about the game truly stands out when compared to other games in the genre, and after a while, it beings to feel very uninspired and boring. Levels begin to drag on in what feels like a never-ending tutorial. Chances are that you will run into one or two slightly challenging puzzles, but the game never seems to capitalize on these interesting moments. Instead of taking these challenges and spreading them throughout, the game repeats level structure enough times where it doesn’t feel as if the player is on a new level. Toby: The Secret Mine truly does hold a secret deep within its code, and it is one that can be found shortly after booting up the game for the very first time. Levels are uninspired, boring, and carry out the same few tricks time after time. The best thing going for the game is its visual prowess, but even that isn’t enough to keep players coming back. Playing the first few levels feels as though you have played it all since minimal changes are made from level to level. The dark tone that it attempts to hold feels unnecessary as it isn’t capitalized on from the start to the finish. 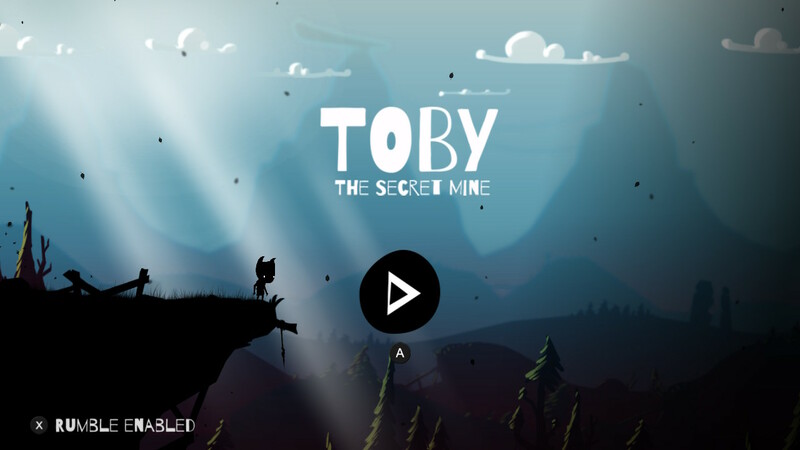 At the price point of $9.99, there are much better titles on the market that are worth playing than Toby: The Secret Mine.